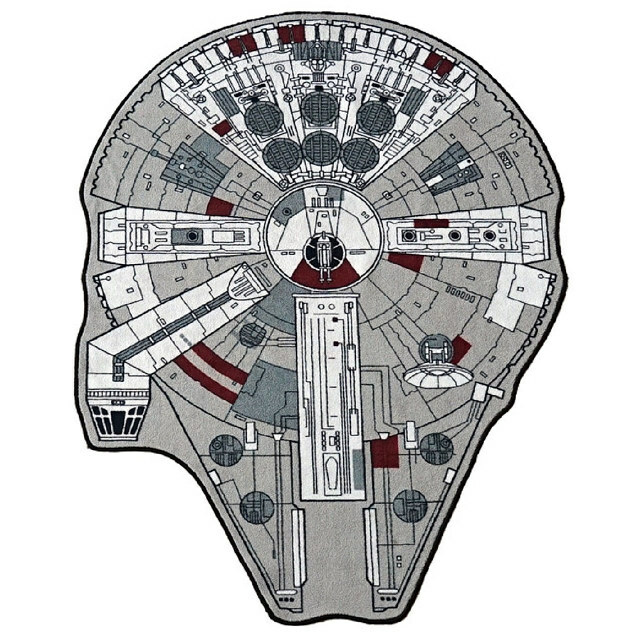 The famed Millennium Falcon features prominently in the new teaser released for the Star Wars VII: The Force Awakens. 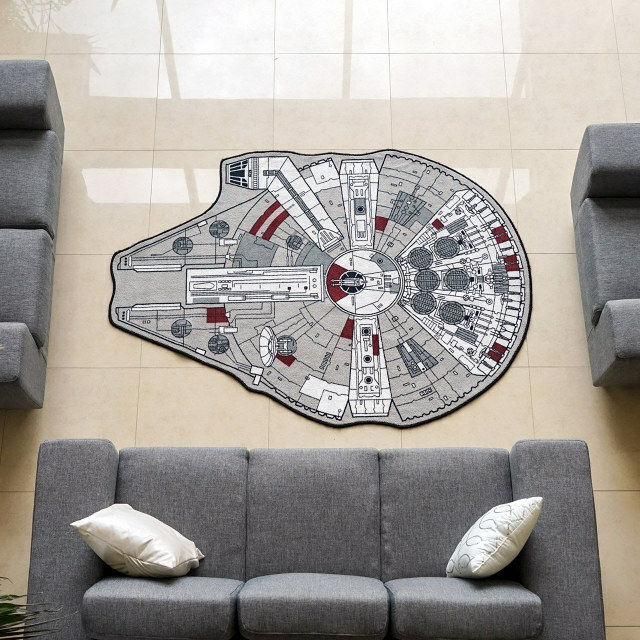 But what if you want to bring forth the ‘spacious’ glory (excuse the bad pun) into your very living room? 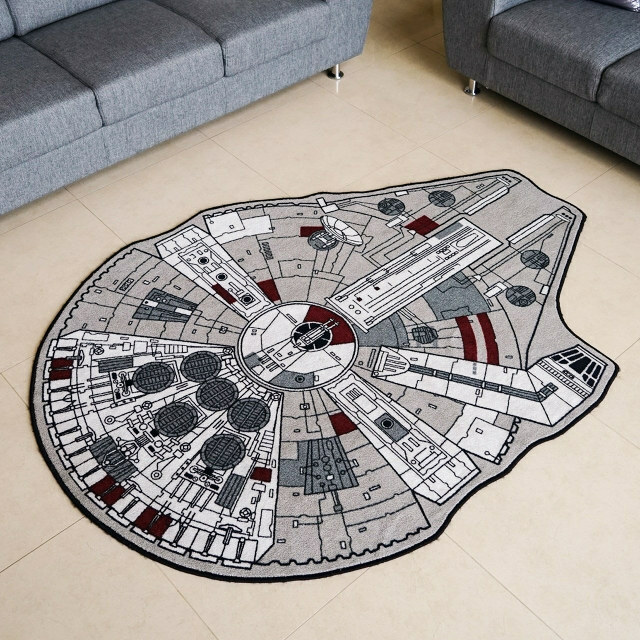 Well, that is exactly what the Star Wars Grey Millennium Falcon Rug is designed for, with its officially licensed credibility. 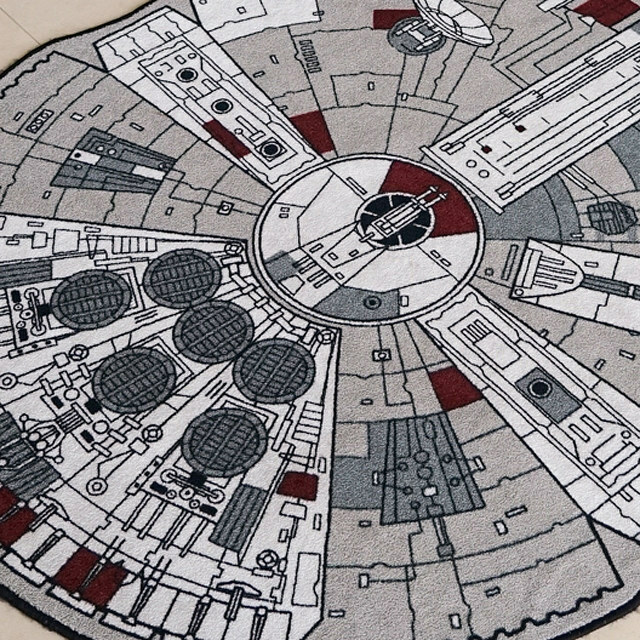 Crafted from cent-percent polyester pile, the 79-inches x 59-inches (30,000 sq cm) rug boasts of snug features – if you are in for that sort of stuff. However, the sheer deft detailing of the YT-1300 492727ZED (yes, that is original code for the Millennium Falcon) alone warrants a ‘strong force’ for us. 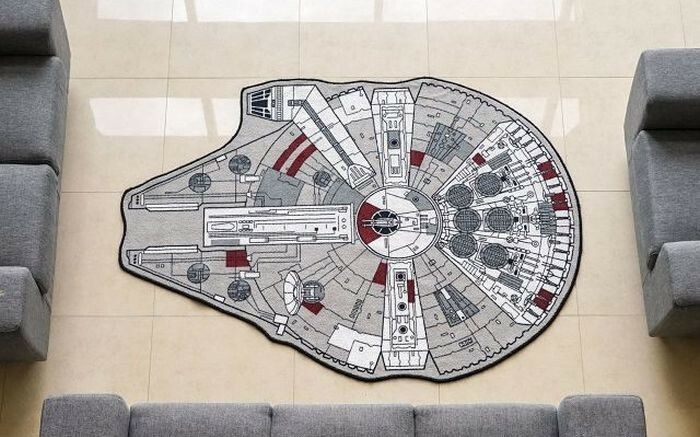 Just make sure not to spill your drink while cheering for the Jedi warriors or the Sith lords, when you are all geared up for the upcoming movie. Buy – $100 (from ThinkGeek).